My name is Kirill Grouchnikov and I am a user interface engineer. I have been doing client side development professionally since 1999 in a variety of UI toolkits and libraries that spanned Motif, MFC, VB, Ada, Delphi, Swing and SWT. In 2009 I joined Google and I’ve been on the Android team since then. Want to get in touch? You can reach me at [firstname] dot [lastname] at [gmail] dot [com] if you can figure out the secret encoding of the email address. Technically I’m still on Twitter, but that’s been dormant for a while now. I also post occasionally on Instagram. Google I/O 2017 – “Architecture Components – Persistence and Offline” with Yigit Boyar. Video recording. Google I/O 2016 – “Designer & developer communication” with Shona Dutta, John Schlemmer and Mark Wei. Video recording. 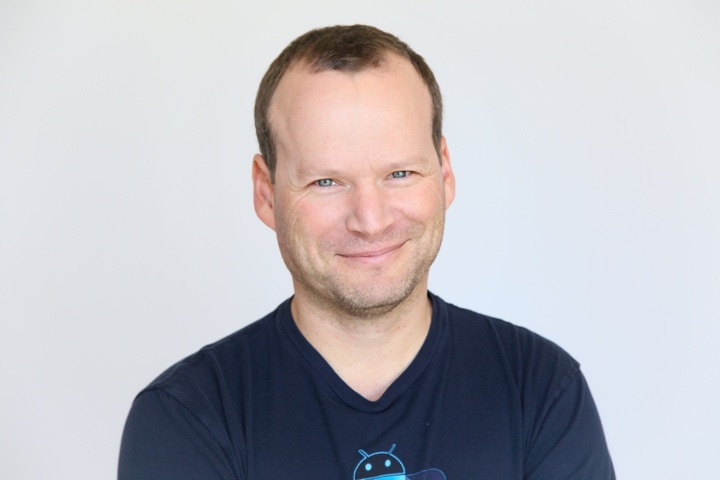 Udacity 2015 – Talking about Google Play Store app. Part 1 and Part 2 videos. Google I/O 2014 – “Going responsive with the Google Play Apps Suite” with Marco Paglia. Video recording. AnDevCon III 2012 – “Responsive Mobile Design in Practice”. PDF slidedeck. AnDevCon II 2011 – “Responsive Mobile Design”. PDF slidedeck. AnDevCon I 2011 – “Designing for the Mobile Form Factor”. PDF slidedeck. JavaOne 2009 – “Flamingo: Bringing the Ribbon Component to Swing”. PDF slidedeck. EclipseCon 2009 – “On The Shoulders of Giants: Harnessing the Power of Eclipse Enterprise Ecosystem”. PDF slidedeck. JavaOne 2008 – “High Resolution Monitors” with Mike Swingler of Apple. PDF slidedeck. OSCON 2007 – “Advanced Effects in Java Desktop Applications”. PDF slidedeck. DesktopMatters 2007 – “Swing Effects”. PDF slidedeck. JavaOne 2005 – co-presenter on birds of feather that introduced Web Services & XML community at java.net. My part was on the JAXB Workshop project (see below). Neon provides a core set of APIs to work with images and text that scale with the display resolution. 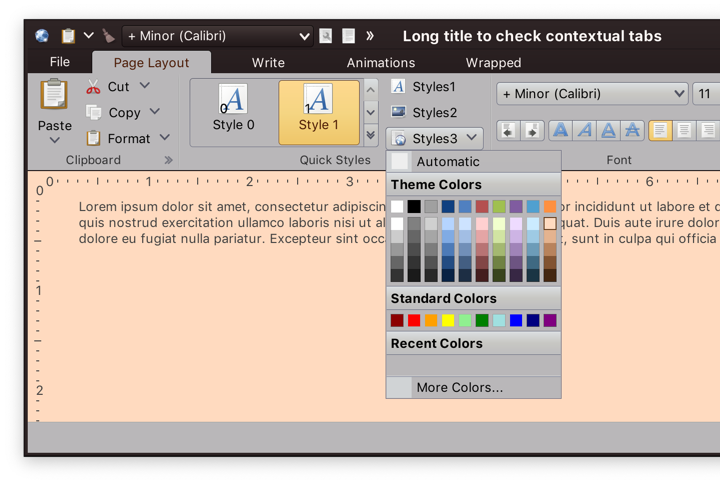 Photon enables usage of vector-based icons in Swing applications. Trident provides powerful and flexible animation APIs that scale from simple, single-property cases to complex scenarios that involve multiple animations. Substance provides a powerful and flexible set of APIs that can be used to skin Swing applications to address the most demanding, modern design requirements. Flamingo provides a robust set of additional Swing components that can be used as building blocks for creating modern, rich Swing applications. Meteor is a set of Kotlin extensions that expose selected core Swing APIs for idiomatic Kotlin usage. Ember is a set of Kotlin extensions that provide a more elegant way of working with scoped Substance APIs. Plasma exposes the entire API surface of Flamingo as a concise, focused and approachable Kotlin domain-specific language (DSL). Lightbeam provides tools for Swing look-and-feel developers to measure the performance of their libraries. Strider – ripple effects for Swing applications. XSOM – XML Schema Object Model (part of JAXB 2.0). I was a small-time contributor.